“Spring is the time of plans and projects,” Tolstoy wrote in “Anna Karenina.” For centuries, people have recognized spring as a time of renewal and cleaning up the various parts of life that have fallen into disarray over the past year. 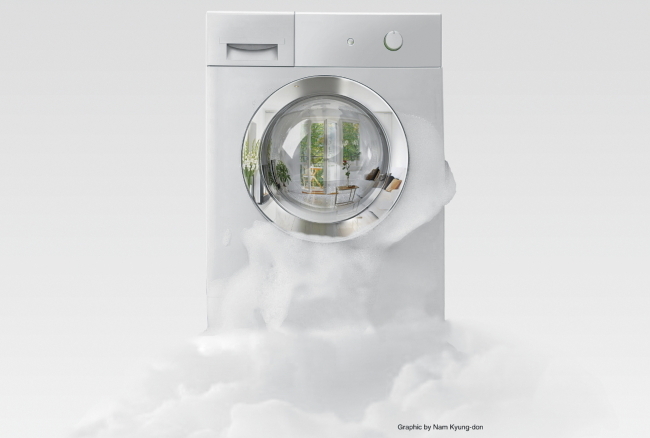 The concept of “spring cleaning” is prevalent in many countries, including South Korea. In recent years, the idea of decluttering both the physical and psychological aspects of life has emerged as a new lifestyle trend. “I had everything I needed, but because I was focusing only on things that I did not have, I was not even a little bit happy,” Fumio Sasaki writes in “Goodbye, Things: The New Japanese Minimalism,” which has sold over 200,000 copies here since its 2015 release. In the book, the author relates his experience of gaining happiness by throwing out inessential objects in the home. “Hygge,” the Danish word signifying simple comforts and feelings of wellness and contentment, was chosen as the key word for 2018 by numerous media outlets here earlier this year. Following are rising trends that incorporate cleaning into lifestyles. People are taking a growing interest in the act of cleaning, according to Lee Hae-rin, a professional organizer offering classes on effective ways to arrange the home. There is a trend of focusing inwards, she said, in terms of both home interiors and the individual self. Lee trained as a professional organizer to embark on a second career upon retiring from an executive position at a large conglomerate. The basic principles of cleaning lie in categorization, organization and maintenance, Lee said. Such rules are taught during private and group lessons, attended by students ranging from office workers to families. The tactile activity can act as a therapeutic exercise, she says. Some of Lee’s students are family members, such as mothers-in-law and daughters-in-law, in conflict. “Often, participating in the organization lessons together can contribute to family members sorting out their issues,” Lee said. Many 20- and 30-somethings of today’s Korea tend to move around often, whether it is to other countries and regions in search of jobs or to different studio apartments for rent reasons. Knowing that her stay in any given place will not be permanent, 31-year-old Lee Chae-young has decided to fill her new apartment, which she moved into last month, with only the bare minimum furniture. Now, Lee feels that the physical act of decluttering has led to a refreshed mental attitude. Three months ago, photographer Seo Da-eun, 28, made the decision to pack up and leave her job and apartment in Seoul to start over on Korea’s southernmost Jeju Island. While the island with its many picturesque beaches has long been hailed as a tourist attraction, in recent years, more and more Koreans are moving there in search of a simpler, eco-friendly life close to nature. For the past few years, life in Seoul had become too hectic for Seo. Tired of comparing herself to her peers and wary of being judged for opting for a less stable career, Seo eventually fell physically ill last year. She decided to leave the crowded city behind her and reorganize her life, even if it seemed like an escape. She had harbored realistic qualms about settling on the island, fully aware that she was deserting a paying job for an uncertain future. But now, after three months in Jeju, Seo is content with her choice. She has managed to secure a part-time job and met welcoming people. The change in atmosphere played a much bigger role in her happiness than she had expected, she said. “Being around nature, the sea, the fields and the mountains of Jeju, has brought a surprising peace of mind,” she said.